St Lawrence was born in Huesca, Spain. During his studies in Zaragoza, he met the future Pope Sixtus II, who was then a highly respected teacher. When Sixtus became Pope in 257, he appointed St Lawrence the first among seven Deacons. It was a very privileged position which included the care of Church treasures and distribution of Church alms to the poor. In 258, the Roman Emperor issued an instruction to execute all Bishops, Priests and Deacons. Pope Sixtus was arrested while celebrating Mass and martyred. St Lawrence was instructed to hand over all Church riches prior to his planned execution and given a few days to assemble them. St Lawrence collected the wealth and distributed it to the poor so, when the soldiers returned to arrest him, he presented, “the poor, the crippled, the blind and the suffering” saying, here are the Church treasures. St Lawrence’s actions enraged the Emperor and he had him immediately martyred by securing him to a specially prepared grid-iron and roasted over hot coals. St Lawrence’s Feast Day is the 10th of August. 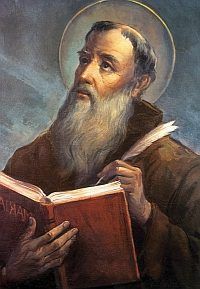 He is the Patron Saint of Rome, Rotterdam (Netherlands), Huesca (Spain), San Lawrenz, Gozo and Birgu (Malta), San Lorenzo San Pablo (Philippines), Canada and Sri Lanka as well as, cooks and chefs. Pray for us that we will love our poor brothers and sisters to the same depths that Jesus loves us.